What is really happening in Venezuela, Nicaragua, and other countries in Latin America? Here are some things that are often overlooked. Many people may be familiar with the history of US intervention in Latin America and the Caribbean, including countless acts of aggression against Cuba since the triumph of the Revolution, the coup against Salvador Allende in Chile in 1973, the economic warfare and CIA-backed violence in Jamaica from 1975 to 1980, the invasion of Grenada in 1983, and arming the Contras in Nicaragua in the 1980s. There was the infamous "Operation Condor" unleashed across all of South America, where the US supported right-wing dictatorships and their repression of social movements. Thousands of people were murdered at the hands of the CIA and their local collaborators. At the turn of the 21st century, the Left had overcome many challenges to rise to power in countries all across Latin America. The sovereignty of democratic peoples has been treated as some sort of threat to the pride of the arrogant imperialists. Lately, they have again shown signs that they will stop at nothing to subordinate our peoples to their hegemony. In line with their interests, the imperialists have conducted misinformation campaigns to turn people of the world against progressive governments. They have spread lies to demonise the people of Haiti, as well as the governments of Venezuela and Nicaragua in particular, as they have been doing with Cuba for decades. The next target may be Bolivia. It is necessary for us to compile this information so that persons can see the patterns of deliberate actions taken by the US to destabilise countries in the region. It is important to remember that lives are lost, and more are at risk, due to this dangerous game that the empire is playing against our peoples. It is also necessary to dispel the lies that they tell in their attempts to justify their actions. Please note: This is a compilation, not an article. It will be updated with additions over time. Click the subheadings under each country to expand the text. The US has been hostile to Cuba ever since the triumph of the Cuban Revolution in 1959. Cubans were tired of being tenants on their own land, so the revolutionary government had seized control of property and resources that were foreign-owned, nationalising major industries and redistributing agricultural land to small farmers. In response to these actions, the US government imposed a blockade to punish the Cubans. We can see that the US takes measures to destabilise economies with the intention of pressuring the people to overthrow their government. We should all oppose the USA's inhumane blockade against Cuba. It creates unnecessary hardship for the Cuban people, and this is why it needs to end. The Democratic Party in the USA claims that they want to see the blockade end, but for sinister reasons. Instead of seeing it as a human rights violation, they simply see it as an ineffective policy of regime change, and their hope is to replace it with policy for regime change that will be more effective. They hope that the end of the blockade will allow them to have more influence on Cuba's internal affairs. The end of the blockade will undoubtedly be a good thing for Cuba and its people, but the USA cannot be trusted. The US is two-faced. While the US government preached peace, USAID was trying to incite Cuban youth to engage in subversive activities against the Cuban government. 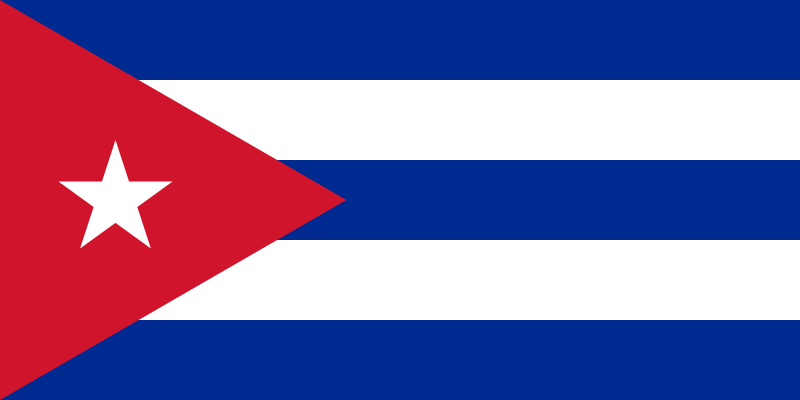 The idea was to set up a network that seemed to be Cuban so that Cuban youth would trust it, and then disseminate information and perspectives intended to manipulate Cuban youth to act against their government; they did not know that the operators of the network were American, or that it had political objectives. The USA openly maintains a policy of regime change towards Venezuela, i.e. the Americans believe that they have a right to dictate that the Venezuelan government should be changed according to their will. Despite taking every opportunity to demonise the Venezuelan government, Western media sources have admitted that the US actively tries to destabilise Venezuela. Nicolas Maduro also occasionally accuses the US of intervention in Venezuela. His concerns about US involvement in coup attempts are often dismissed by Western media, and he is painted as paranoid and irrational. There is a lot of evidence that his concerns and fears are quite valid. After there was admission that the US is involved in Venezuela with intentions to overthrow the government, and that it is working with 2 other countries in the region to do so, there was an assassination attempt against Nicolas Maduro in the first week of August 2018. The Venezuelan government has blamed the attack on persons who are based in Colombia and the USA. Juan Manuel Santos (the outgoing president of Colombia) as well as Nikki Haley (the USA's ambassador to the UN) have both hit out at Maduro and dismissed his suspicious. As usual, he is painted as paranoid and irrational, but there is solid ground for his suspicions and claims. In January 2019, the US orchestrated a coup attempt in Venezuela, aiming to install Juan Guaidó as president. The CBC admitted that there has been a "propaganda fight" including the coverage of US attempts to forcefully deliver aid to Venezuela. For example, US officials and media accused the Venezuelan government of closing a road that has "never been open" in the first place. After seeing that the US has intentions of destabilising Venezuela, the next step to uncovering their plot is to understand the impacts of specific actions that they take, especially sanctions. Opposition to the Venezuelan government is neither organic nor popular; it is intentionally engineered by the USA's actions. Cuba strongly condemns the aggression against Venezuela. The USA is trying to make life harder in Venezuela in hopes that the people will overthrow the government. The USA has admitted trying to do this in Cuba. Venezuela has a policy of internationalism. Venezuela's natural resources have been used to generate wealth which benefits both the Venezuelan masses and the people of the Caribbean. Sanctions against Venezuela have already started to affect the Caribbean, and things could get worse. Economic warfare is being waged against the people of Venezuela, to punish them for continuing to support their government. People in the Caribbean are caught in the crossfire. Apart from overt sanctions, economic warfare against the Venezuelan people is also done through underhand measures like food hoarding. Similar practices had occurred in Jamaica and Mozambique, to destabilise the governments under Michael Manley and Samora Machel; food was hidden in warehouses or buried underground, while people panicked about empty retail shelves. This can then be used to say that "Venezuelan people are starving" and then the government is blamed and accused of being incompetent. The intention of manufacturing this panic is to get the people to resent the conditions that they live in, so that they can blame the government. After manufacturing this panic, the retailers exploit the people by releasing small amounts of goods at very high prices. Some analysts blame the government for implementing price controls which limit profit margins. This only shows that capital is waging a war against Venezuela, prioritising the maximisation of profit over the livelihood of the people by counting profit margins as a "production cost" - when they don't meet the high profit margins they aim for, they say that the government is forcing them to sell below production cost. If Venezuela didn't produce much food, there wouldn't be a crisis of smuggling. Western media focuses heavily on the fact that the Venezuelan government implements price controls, but there is rarely mention that the government also subsidises food. The government subsidises food production, which is why it implements price controls; if it didn't implement price controls, producers could take advantage of the subsidies to increase their profits rather than offering lower prices for the people. Some persons take advantage of the cheap prices of Venezuelan food, and smuggle this food into Colombia where it can be sold for a much higher price. This food smuggling is contributing to shortages in retail outlets, since it is being diverted from feeding the Venezuelan people to making a profit in Colombia. When Venezuelans cross the Colombian border to buy food, it is not unlikely that they are buying Venezuelan food that has been smuggled there. Venezuela's border dispute with Guyana has more to do with US oil interests than Guyana itself. An American oil company, ExxonMobil, has been exploring the area for oil, with increased activity in recent years. If the border dispute is ruled in Guyana's favour, any oil in the region will benefit the pockets of Americans rather than Guyanese people; foreign companies have been exploiting Guyana's natural resources for a long time, and some Guyanese people are sceptical of how much the Guyanese people will benefit from foreign companies extracting oil. ExxonMobil has bad relations with Venezuela because the Venezuelan government (under Hugo Chavez at the time) demanded that foreign oil companies pay more for the oil that they extract from the country; all oil companies except ExxonMobil complied, so ExxonMobil was kicked out. This is why ExxonMobil is 'funding' Guyana's claims to disputed territory with Venezuela. The dispute is an investment for ExxonMobil, and they will expect returns on their investment if Guyana wins the dispute. Regardless of what position you take on the border dispute, it should be very suspicous that 2 US oil companies (ExxonMobil and Hess) have such a vested interest in it. Before ExxonMobil was kicked out of Venezuela, it didn't care which country controlled the disputed territory as long as it was allowed in both countries. US intervention in Nicaragua was heaviest in the 1980s, when the US government armed and funded terrorists to murder Nicaraguans and to try to topple the Socialist government. Bloody internal conflict raged on in Nicaragua for years, but peace has been there since the 1990s. The Sandinistas, the Socialist revolutionaries who took power in 1979, have allowed free and fair elections, including ones in which they have lost. They have been in power again since 2006, winning 3 elections; they won the last 2 elections by landslide. In April 2018, the government estimated that the pension system would run into debt in a few years unless it had better funded or provided less benefits. The government suggested that workers' contributions to the pension fund should increase by 0.75% and that employers' contributions should increase by 3.25%. The proposal was rejected, mainly by businesses and the opposition; the IMF instead suggested that the retirement age should be raised by 5 years, a proposal which the government rejected. There has been unrest since this impasse. Even when the government withdrew the proposal to increase pension contributions, there has been an unrelenting call for it to resign for the sake of resigning. It became obvious, then, that this was not about the pension system. Long before this unrest over pensions, the "NICA Act" - which is seen as hostile to Nicaragua - has been discussed in the US. The bill and its supporters mention that its function is to "promote Democracy" in Nicaragua, a term typically associated with regime change. The recent unrest is only the culmination of a long-term plan to destabilise the Nicaraguan government. In addition to external pressure from the USA and the IMF, there are well-armed agents within Nicaragua who are stirring up trouble. It is puzzling that they find the time and resources to arm themselves so well and maintain blockades; this is an obviously organised effort, not a popular spontaneous uprising. There was a coup in Paraguay in 2012, ousting President Fernando Lugo. He was held responsible for the deaths from a clash between police and farmers, despite not ordering the operation against the farmers, and despite setting up a commission to investiate the incident. His impeachment was supiciously rushed, and his successor abolished the commission that was responsible for investigating the deaths during the clash. Mainstream media sources say that there was no evidence of US involvement, but the US had no problem recognising the new government; this is ironic, considering the US sometimes refuses to recognise other countries' election results. In 2006, Manuel Zelaya was elected as president of Honduras. While in office, he shifted to the Left and embraced other progressive leaders in the region. He was ousted and exiled in a US-backed military coup in 2009. The coup resulted in the rise of a US-backed dictatorship. 3 elections have been held since the coup, with US allies winning all. The most recent one, held in late 2017, was too obviously fraudulent. Nevertheless, the US rushed to recognise the results in which their allies claimed victory. They refused to recognise Venezuela's election results, even before the elections in Venezuela were held; they had no evidence that the results were fraudulent in Venezuela, but evidence that there was electoral fraud in Honduras didn't stop the from recognising and supporting the right-wing government of Honduras. White supremacy has felt threatened by Haiti, ever since its revolution and subsequent declaration of independence over 200 years ago. 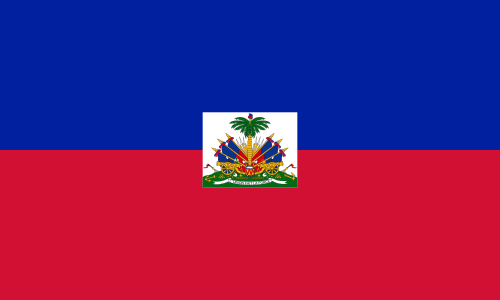 In the 1800s, they enacted sanctions, blockades, and outright extortion of Haiti. More recently, they have engaged in military occupation, coups, and have ensured that the Haitian government makes decisions that benefit the US instead of the Haitian people. Many persons frequently make the mistake of looking down at Haitians and the conditions they live in, while ignoring the role that the US has played in ensuring that. Some persons like to talk about how Haiti receives "aid" and claim that Global North countries are genuinely helping Haiti, but evidence says otherwise. The UN is responsible for a cholera outbreak that killed tens of thousands of Haitian people, foreign soldiers and aid workers sexually abuse Haitian people (including children), and aid has become a profitable business for the countries that claim to be helping Haiti. Haiti is also a victim of neoliberalism, with free trade being imposed upon them. They have been forced to cut tariffs that protected their farmers, so that the US can flood their markets with cheap subsidised rice. Consumers then choose the cheap American rice over Haitian rice, leaving Haitian rice farmers broke and unable to develop their productive capacity to compete with rice imports. A lot of money that would have stayed in the Haitian economy now ends up in the hands of foreign producers; capital flight, like this, contributes to unemployment, poverty, and currency devaluation. This problem started in the 1980s, but has been exacerbated by Haiti's dependence on foreign assistance after facing natural disasters. In addition to forcing Haiti to abolish tariffs, Americans have forced Haiti to maintain low wages so that it could be a source of cheap labour. This was clear exploitation of a society and economy that were vulnerable after natural disasters and existing economic exploitation. The height of US intervention in El Salvador was in the 1980s, not the 21st century. However, they still have an impact on the lives of many Salvadorans today. In the 1980s, the US backed a right-wing dictatorship in El Salvador, aiding it to repress popular movements that were rising up against oppression and awful living conditions. The government engaged in a 'dirty war' which resulted in a refugee crisis that still exists today. After the dirty war, earthquakes resulted in more refugees. Many persons are internally displaced, while many others are vulnerable to the ever-changing US attitudes towards refugees and immigrants. The gang violence in El Salvador, which continues to displace people in the 21st century, cannot be disconnected from the refugee crisis. The US is an ally of the Republic of China (also known as Taiwan), which once controlled all of mainland China. A civil war was won by the Communists who established the People's Republic of China, while the right-wing government fled to Taiwan. Taiwan is the only part of China which is controlled by the Republic of China, while the government in Beijing identifies itself as the People's Republic of China. The rocky relationship between these 2 governments makes it difficult to maintain ties with both, as recognising one implies that you don't recognise the other. El Salvador had recognised the Republic of China (Taiwan), until recently when they decided to recognise the People's Republic of China instead. In response, the US wants to punish El Salvador. Marco Rubio complains that El Salvador is "pro-Ortega" - ironically, Nicaragua maintains ties with both the People's Republic of China and Taiwan. In any case, it is one thing to be critical of a country's foreign policy, but what the US is doing is trying to do is to coerce El Salvador for not bowing down to it in international politics. Bolivia has been a bastion of anti-imperialism, since the election of Evo Morales in 2006. Like other progressive governments in the region, he has sought to nationalise resources to ensure that their wealth benefits the people rather than an elite minority in the country or foreign neo-colonial Capitalists. His government has stood in solidarity with other anti-imperialist governments and movements worldwide, and Bolivia remains one of the major critics of US foreign policy in the UN and other international spaces like the OAS. We must be vigilant, and watch what the US might do to sabotage Bolivia. We do not endorse the entirety of the content that you may find in articles or websites that are linked from this page. Many of the articles themselves have narratives that aim to undermine the legitimacy of progressive governments and to cast doubt on their leaders. Nevertheless, they admit certain undeniable facts in the midst of their biased narratives and opinions. We cite specific quotes to show that even Western journalists are aware of certain truths. Where we cite progressive sources like Granma, it is to show that progressives can't claim to stand in solidarity with Cuba while dismissing its own narrative and demonising its allies.